Illegal Burger is my favorite burger in Oslo, and has been since the first time I tasted it. This is not a controversial opinion. 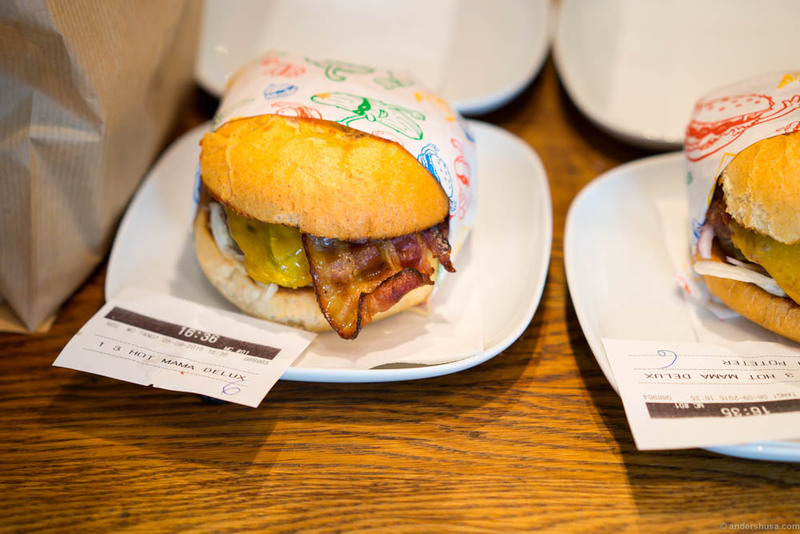 Judging from surveys about burger joints in the newspapers, Illegal burger has been highly popular among Oslo citizens ever since it opened six years ago. Equally many people disagree, probably. 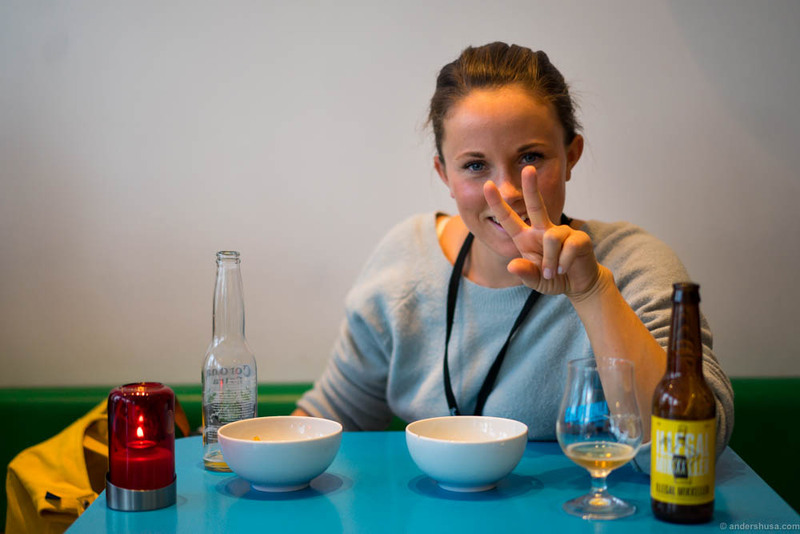 I know the uncrowned burger queen of Norway, BonjourTristesse, views it as below average. 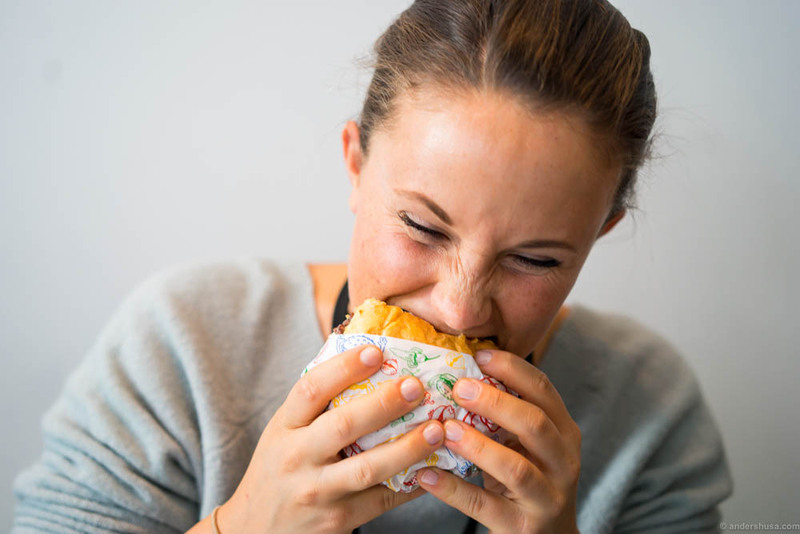 She tracks all the burgers she eats and rates them from one to six. Illegal got a three minus from her, mainly due to the bread. 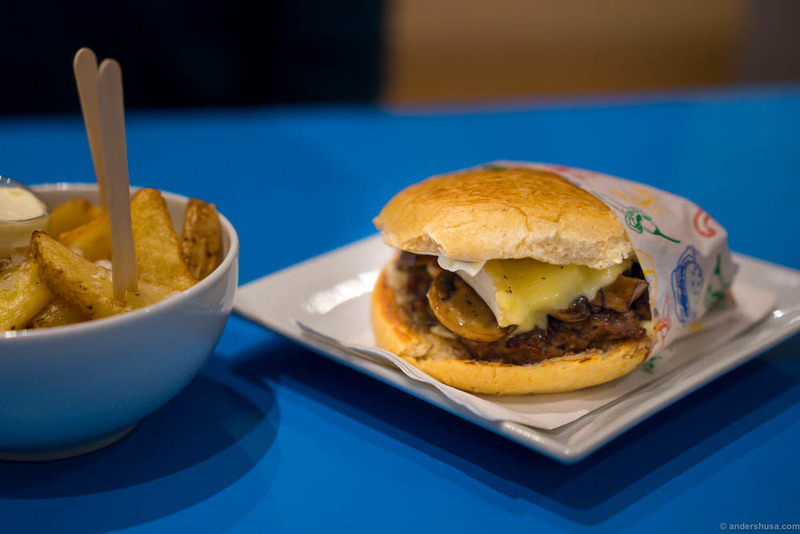 The Illegal burger is not necessarily true to the classic elements you’d expect from a perfect burger – like the soft, sweet buns. The buns at Illegal has a crispy, toasted crust from the Josper grill. 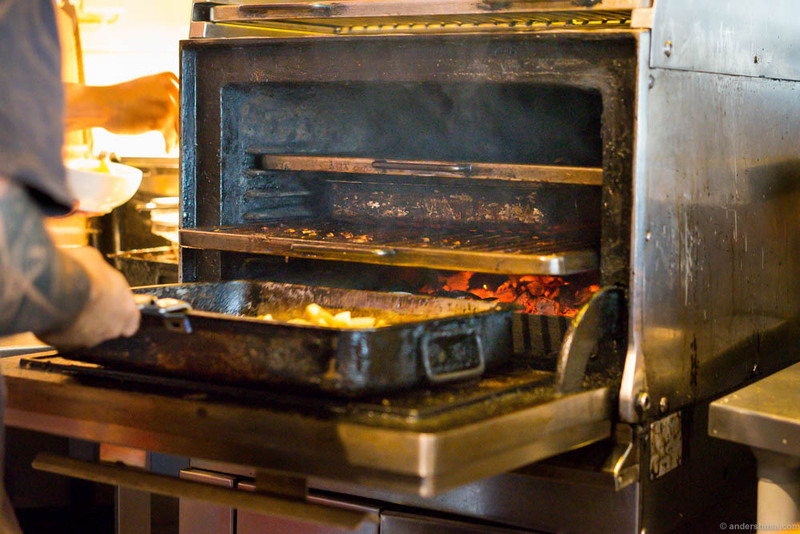 Illegal burger is all about the Josper oven! A few years ago Oslo was a wasteland of burger joints. Today, competitors have popped up everywhere, practically covering the city from west to east with decent options. 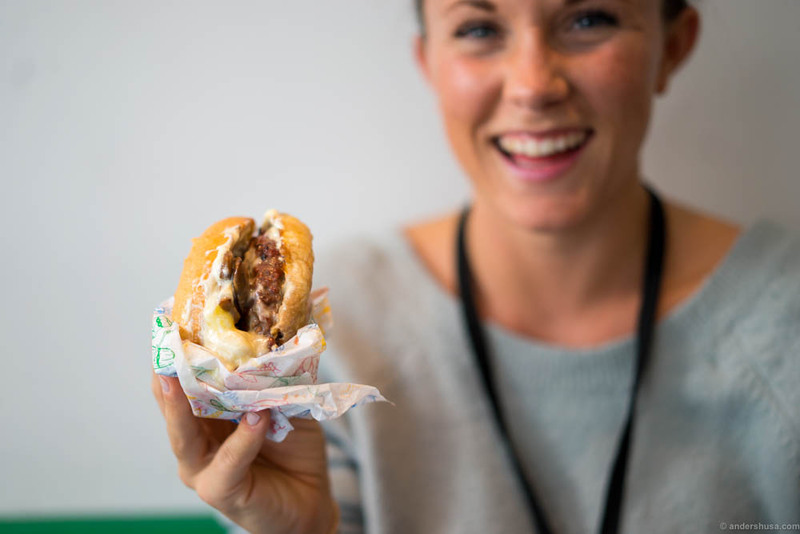 Among the better ones, in my opinion, are Burger Joint at Aker Brygge, Kverneriet at Majorstua, Munchies, Døgnvill, and Tommi’s Burger Joint. Other places where I return more seldom are Burger Bar in Folketeaterpassajen, Bun’s Burger Bar at Sørengkaia, and Grill’s Ville. There are even some great restaurant burgers at places like St. Lars and Smalhans, but that’s a category of its own I think. You will find advocates of all places. Burger opinions are strong! Burger photos are always among the like-winners on Instagram. People love burgers. 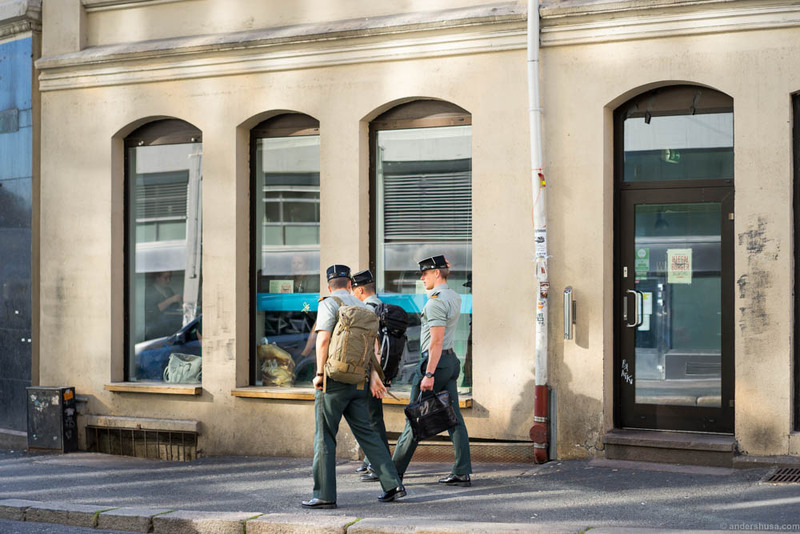 The original venue of Illegal Burger is located in Møllergata, above Youngstorget. It’s stuck in between the pizza place Hell’s Kitchen on the corner to the left, and the nightclub The Villa on the right side. They share toilets with the latter, and owners with both. 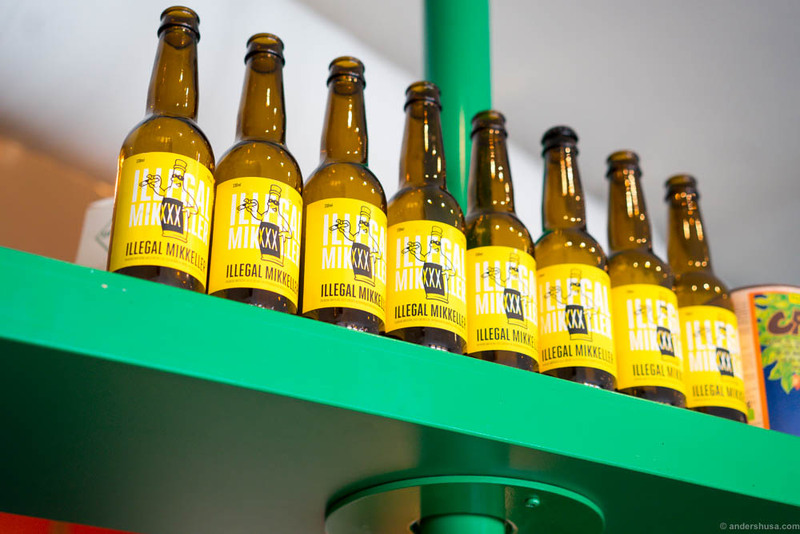 Illegal Burger is one of those original hipster shacks in Oslo. Hardly anything about the exterior reveals what is truly hiding behind the doors. Just like the cocktail bar No. 19 around the corner, or the anonymous Bar Robinet. Once you open that door you are not in doubt anymore, though. The smoke from the Josper fills the air, the scent of melting cheese goes right up your nostrils, and the aroma of sizzling bacon and grilled burgers is impossible to mistake. 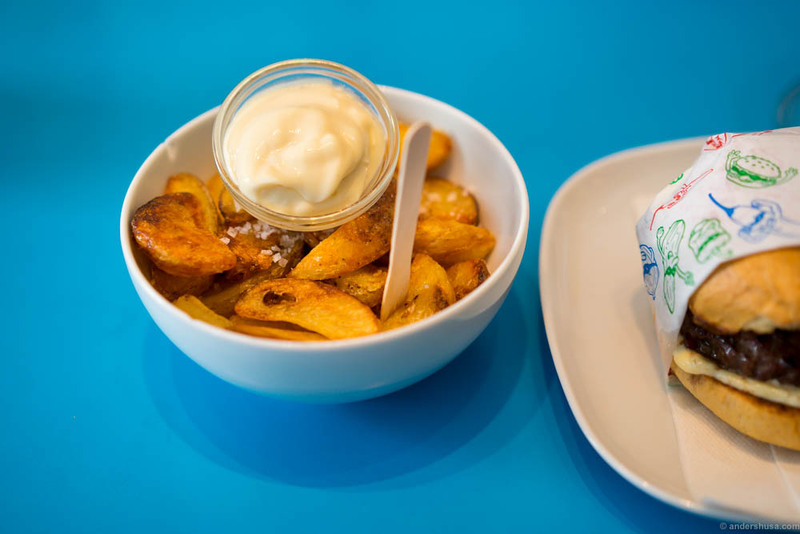 The legendary grilled potatoes with aioli. The best fries in town. Always crispy on the outside, soft on the inside. Maldon salt and a creamy mayo to dip in. You can’t go wrong. I love Illegal Burger because it’s consistent and tasty. When people rate burgers they usually consider a lot of different factors. The bun and the patty weigh heavily, which I can understand. Price is also important, and you’ll even see people calculate the price per pound of meat. Well, I’ve no interest in that particular detail, but I know that NOK 100 for a big juicy burger is a pretty good deal! Personally, I am also a sucker for the grilled potatoes with aioli. If you are really unlucky there are a few soggy bits in between, but usually, it is crisp heaven all the way! My absolute no. 1 among the burgers is no. 5 – Gourmet! Josper grilled mushrooms in a truffle mayo underneath, with a layer of melted Brie on top. Flavor explosion! When I worked in the city some years ago we used to go to Illegal Burger straight from work. We’d typically be there around 5 pm, just an hour after they opened, and the place would already be packed. No vacant seats in sight, queue out the door and the feeling of hopelessness for any first-time visitors. We knew the queue would disappear quickly, though, seats would free up, and the chefs were quick! People generally respected that others wanted to enjoy their burgers too, and didn’t hang around longer than they needed. Still, we always said to each other: Why don’t they open another place? Well, now they’ve finally done it, although it’s several years after the burger wave hit Oslo. 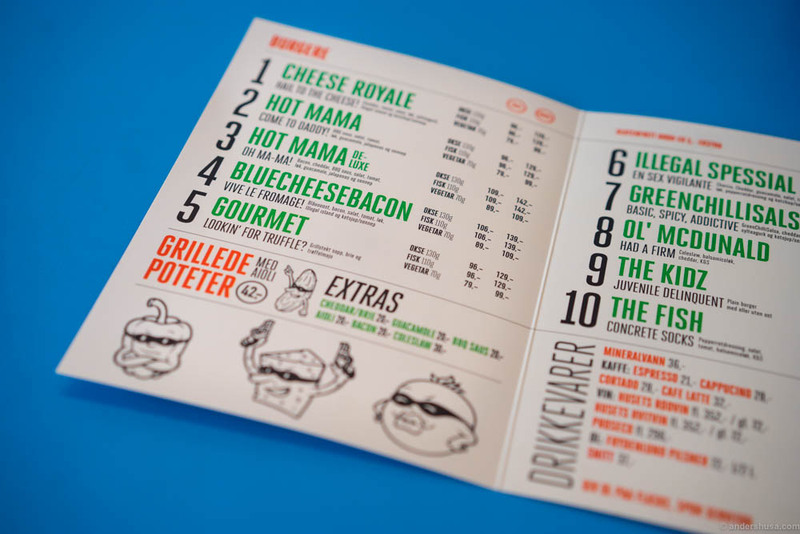 Even Munchies, which opened way later, managed to open their second restaurant before Illegal did. 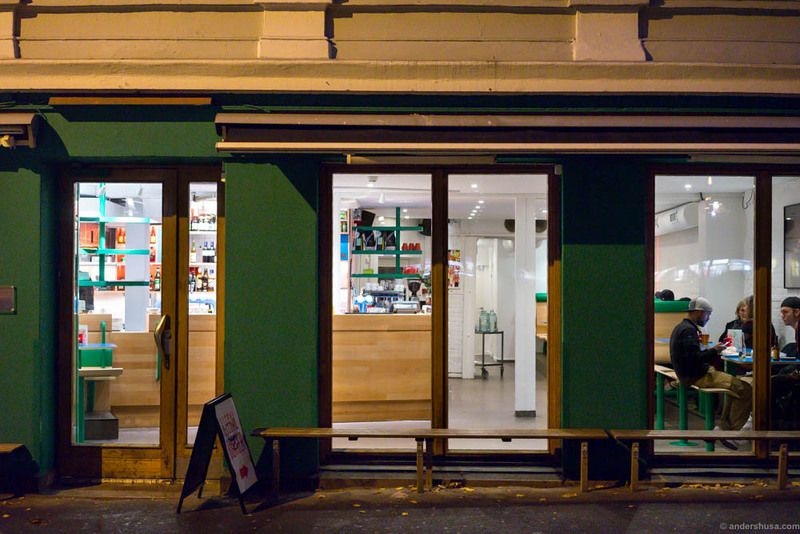 The second venue of Illegal Burger opened in October of 2015 at Olaf Ryes Plass in Grünerløkka. Quite the contrast to the original site. Windows with a clear view easily reveal a burger joint inside, and there’s even a sign on the street to lure customers in. Not above the door, though, obviously. God forbid! Once you go inside you realize this place is huge and spacy. Endless rows of seats compared to the usual Illegal game of musical chairs. A quick estimate is at least five times as many places to sit as the Møllergata location. We had no trouble getting a table this night, but it actually started to fill up by the time we left. – They’re both… favorites, so either one is good, but if they have both, I’ll get no. 5, because no. 5 is a little more favorite. But if they don’t have no.5 it’s like alright its fine, cause no. 3’s favorite anyway. It’s like another favorite, but not as much. Not as much favorite. But they’re both good. They’re both good! I am sure you disagree and want to leave a comment below as to why. Please, go ahead! 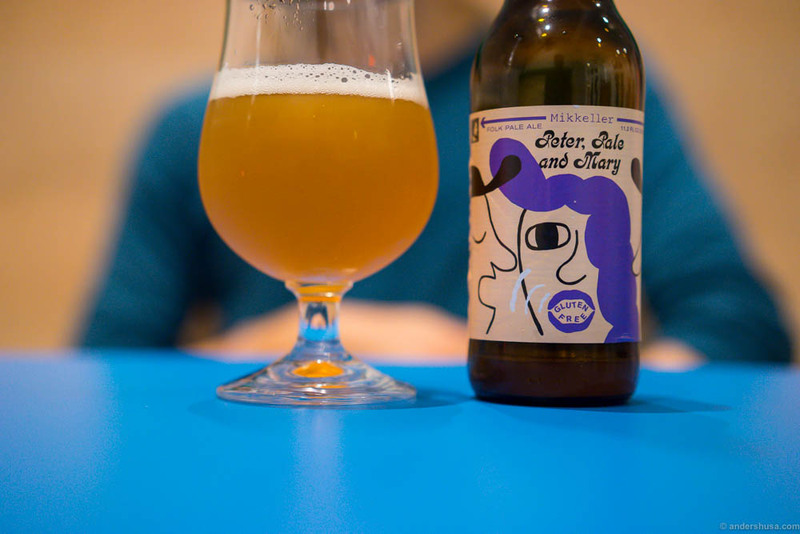 Unfortunately Illegal Grunerlokka is no longer there….